Since 1999, May 11 is celebrated as National Technology Day to mark India’s technological advancements. President Pranab Mukherjee will be attending the National Technology Day celebrations in New Delhi this year, along with the Union Minister for Science and Technology Dr Harsh Vardhan. National Technology Day is celebrated every year on May 11 to mark Indian technological advancement. 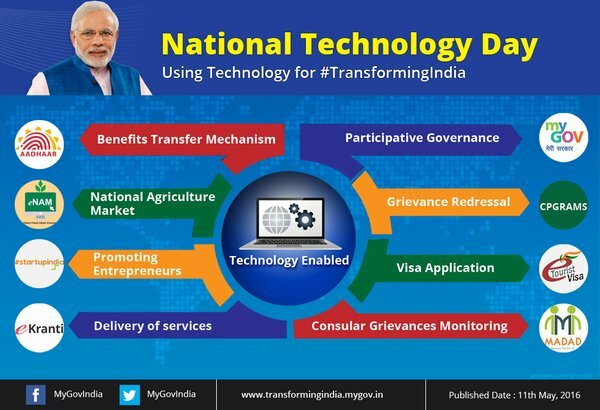 The day, May 11, was declared National Technology Day by the Indian Government in order to commemorate the history of India's technological capability and expertise. The theme for this year's Technology Day is 'Technology enablers of Startup India'.